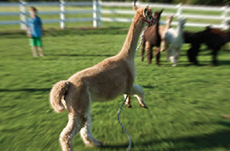 Come party with our alpacas & all of our other animals! Birthday parties have a 2 hour time slot. Choose either 10am to 12pm or 2pm to 4pm. Each birthday party is limited to 10 children and 3 adults. At least one adult must be present during the entire party. All children must wear closed-toe shoes in order to participate. Parties begin at 10am or 2pm. Other times can be arranged by special request. Luina Greine Farm is open rain or shine. We are happy to schedule a rain date within 24 hours with advance notice. 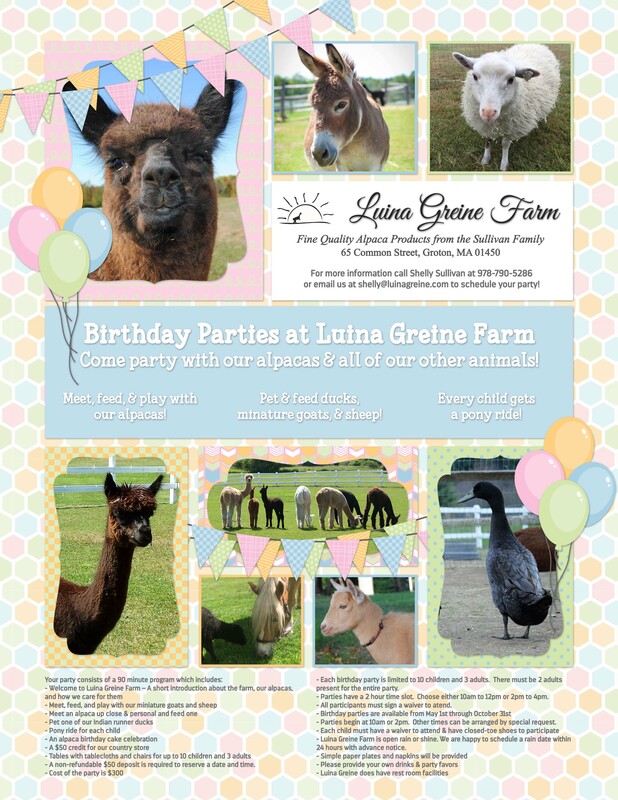 For more information call Shelly Sullivan at 978-790-5286 or email us at shelly@luinagreine.com to schedule your party! Please print this waiver for each guest (pdf) and bring the completed form to the party.